A community goal of transforming Brooks Street into something more than a 1970s relic packed with cars and nearly impossible to cross on foot isn’t dead, the head of the Missoula Redevelopment Agency said. In fact, a plan to transform the corridor remains alive and consultants informing the project are expected in town this week to help move it forward. Efforts to transform the corridor go back years, though it was in 2015 that a coalition of groups, including the Missoula City Council, MRA and Mountain Line, attended a workshop on the issue hosted by the Sonoran Institute. 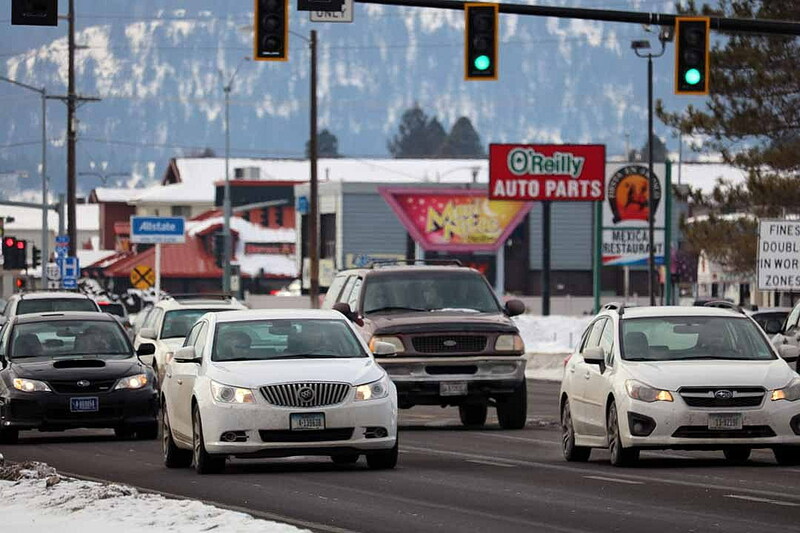 In conjunction with the Missoula Midtown Association, the review took a deep look at the entire corridor with an eye on 15-minute bus service, more housing and increased mix-use density. It also considered the pedestrian experience and how to move people around by foot given the amount of traffic and pattern of poorly planned development. New Mobility West – a team of consultants contracted by the city – released its Brooks Street Corridor Study in 2017 after gathering public input. Among other things, the plan acknowledges the district’s challenges, such as underutilized properties and its auto-oriented design. Aside from the steady stream of traffic, so-called “mega blocks” like Southgate Mall and the fairgrounds hinder connectivity. Those who attended a workshop ahead of the study’s release envisioned a range of changes for the corridor, including mid-rise housing, more amenities, restaurants and better connectivity. At least one housing project for the area is planned, and several new businesses are on tap to open, including Bridge Pizza’s new Midtown location. “One of the challenges for the groups trying to identify the ultimate project, the idea is to eliminate a lot of the challenges trying to cross Brooks for the neighborhoods that live there and the people who travel along it,” said MRA board member Ruth Reineking. Buchanan said the contract with the city’s consultants has roughly $40,000 left in the coffers. The process must move toward completion and final implementation, she said.